1. “I’m just not ‘feeling’ it this weekend.” Frankly, I have no idea what this excuse means. What I do know is that it assumes making life choices on the basis of feelings—and that’s dangerous. 2. “The pastor doesn’t feed me with his sermons.” If you read this blog regularly, you know that I think that much preaching needs to improve – so I admit that not all preaching is edifying. On the other hand, this excuse can quickly become self-centered. 3. “I can’t worship with that kind of music.” Music style matters–and all styles ought to promote biblical fidelity and practical excellence—but the strength of our worship should not be determined by our preferences. 4. “I don’t need the church to serve God.” I’m not arguing that it’s impossible to serve God without a local church, but it was God who created us needing relationships (Gen. 2:18) and who gave us the church to encourage us (Heb. 10:23-25). Our faithfulness is not disconnected from the church. 5. “We’ll just have church as a family.” I’m grateful for families that worship God together, but doing it apart from the church is incomplete. It misses the point that we need each other, and it sets the wrong example for our children. 6. “Sunday’s my only day to relax.” I understand that we get tired and need days off. De-prioritizing church, though, isn’t likely to bring rest to your soul. Peace and rest come from obedience to God. 7. “God’s called me to enter my prayer closet and just pray for churches.” That reason sounds deeply spiritual, but it’s often nothing more than a spiritualized excuse. 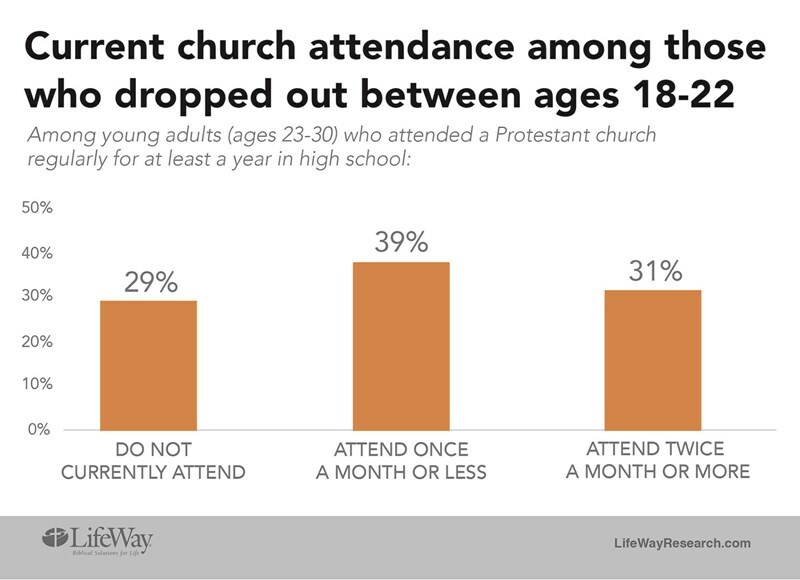 The only people I’ve known who do this well are those who physically cannot attend church—but who would definitely be present if they could. 8. “No church I know is preaching the Gospel.” My experience is that people who go in this direction either (a) have not visited enough churches or (b) have created their own gospel. Neither one works. 9. “I’ve got too much sin in my life.” I appreciate the confession, but God created the church for people like you—and me. What excuses might you add to this list? View more articles by Chuck Lawless.